Hemp seeds are counted among the most nutritious seeds in the world. Hemp is usually associated with marijuana and other controlled substances. However, there’s more to the seed than many know. This crop is generally grown for industrial use, with its seeds being used to produce numerous products in different industries. 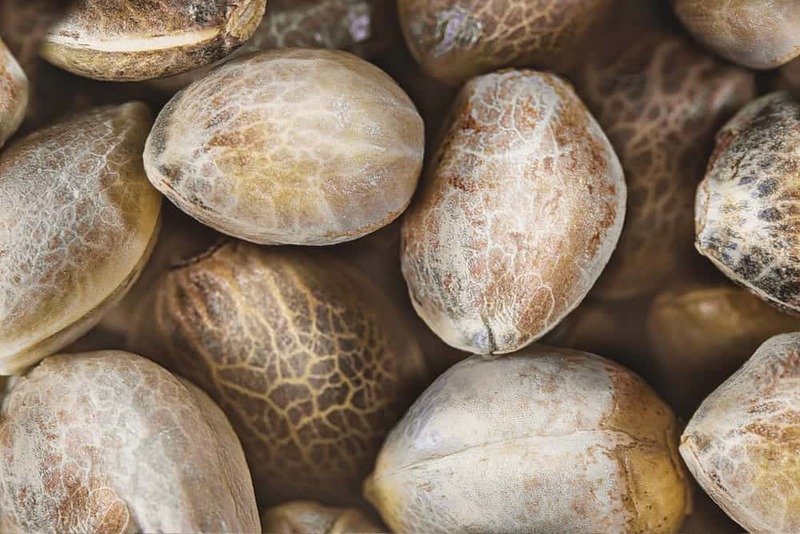 For a long time, hemp seeds were ignored for their nutritional benefits, but these seeds are counted among the most nutritious seeds in the world. Currently, many farmers are switching to industrial hemp farms because of the lucrative profits they tend to gain. In addition to providing huge profits, the hemp crop seed has many health benefits to the body. Recent research has shown that these seeds can be used to reduce or heal certain conditions of the body. Here are a few health benefits of hemp seeds. It’s hard to believe that hemp can help protect your body. In controlled proportions, hemp seeds are beneficial to your brain. The seeds contain a CBD compound that can be used in assisting neurological conditions. Hemp seeds. © Judita Jurkenaite. This compound, when combined with other compounds in the seeds, has neuroprotective and anti-inflammatory effects. They can also be used to regulate the immune system in the body. Research has shown that components in the hemp seeds can help neurological conditions such as multiple sclerosis, Parkinson’s disease, neuropathic pain, Alzheimer’s disease, and childhood seizure disorders. Hemp seeds are rich in omega-3 and omega-6 fatty acids. These acids are known in the medical community for helping improve heart health. They also reduce the risk of issues such as arrhythmias and heart disease. The hemp seeds also contain high levels of arginine, an amino acid that turns into nitric oxide, which is essential for artery and vein dilation. Nitric oxide also helps in keeping blood vessel walls smooth and elastic. The omega-3 and omega-6 components in the seeds can help reduce inflammation. The seeds also have gamma-linolenic acid (GLA). GLA is a polyunsaturated fatty acid that can also have anti-inflammatory effects on the body. However, it’s important to note that GLA is more effective on animals than on humans. By helping reduce inflammation, hemp seeds may help manage the symptoms of chronic diseases, such as metabolic syndrome, arthritis, type 2 diabetes, non-alcohol-related fatty livers, and heart diseases. Research has shown that chronic inflammation can result in atopic dermatitis (AD) and acne. By reducing inflammation, compounds in hemp seed help reduce these skin conditions. Acne can also result from insufficient omega-3s in the body. One can use hemp seeds to give the body the needed omega-3 and prevent acne and other diseases. Rheumatoid arthritis causes inflammation in the joints. This is an autoimmune condition that causes the immune system to attack its tissues, which results in inflammation of the joints. Medical experts can use the anti-inflammatory effects caused by components in the hemp seeds to help reduce rheumatoid arthritis. Despite the many benefits, one should be very careful in using hemp seeds. You should seek professional help before using the crop. It’s also important to know which quantities will help bring the intended results.